Sandy! Oh where is SANDY? I am planning to make a SANDPAPER station/storage/area as it were. Can I see what others have done. This should include sheet SP as well as Velcro and adhesive backed for sanders. 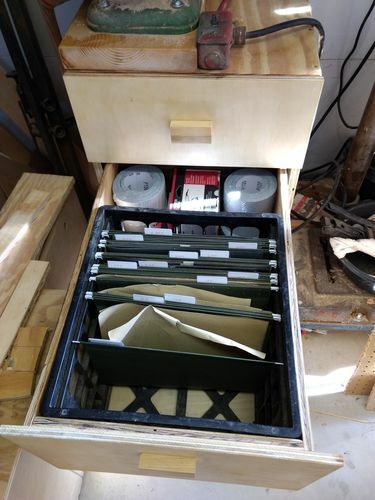 I got a two drawer metal file cabinet at the secondhand store. Hanging folders for each grit, and the rest a place for drums, pads, etc. 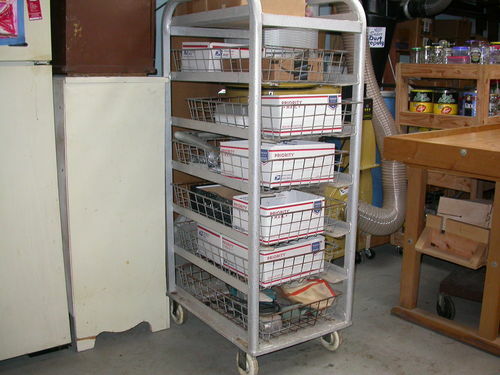 works OK so far, but, I am THE most disorganized person on the planet, and I will screw this up somehow…. 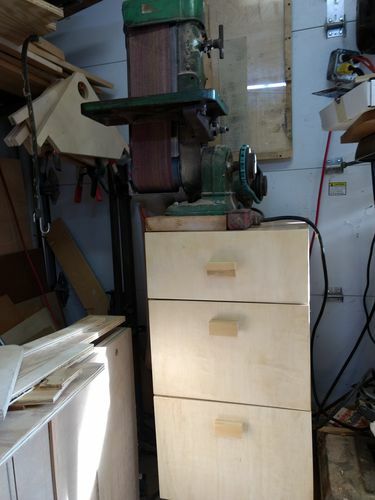 I inherited an upright belt sander that I mounted on a 3 drawer cabinet (kinda like a file cabinet) on locking casters. 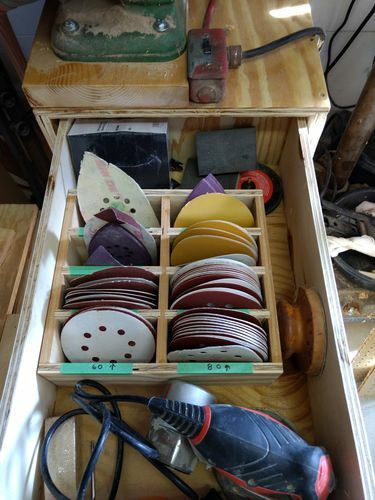 The second drawer has all my sheet sanding paper in a files, also organized by grit. I also keep my PSA rolls in the back. 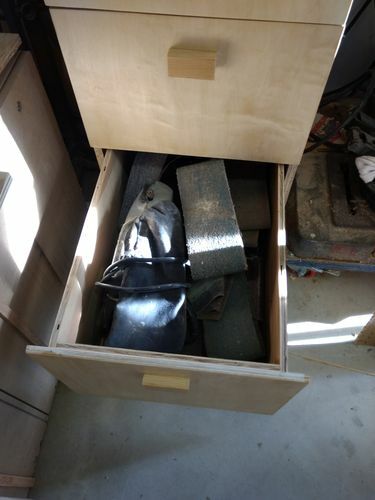 The bottom drawer is my handheld belt sander and all of its belts as well as the belts for sander on top of the cabinet. There is no organization in this drawer… yet. Other than the sander mounted on top, all sanding is done at my bench or table saw cabinet (or on the floor, or another table, or on the jobsite, etc). I found this on craigslist, something similar would not be too hard to make. That’s an old pic, now it’s stuffed full. It’s as ugly as a mud fence, but it is 1 stop shopping for sandpaper and related.